Malnutrition and physical inactivity or also metabolic disorders are, among others, the cause for problem zones on upper arms, hip, belly, buttocks and thighs. Due to a weakened blood flow, increased metabolic end products will be deposited in the subcutaneous tissue. The water binding is encouraged, moreover fats are deposited due to a slower metabolic activity. The result of this metabolic disorder is a loss of resilience, skin becomes rough with a coarse structure and aging processes are accelerated. 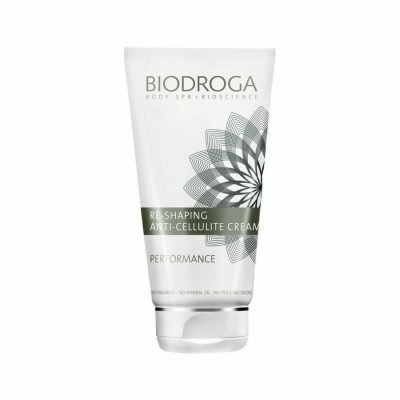 Biodroga MD Anti-Cellulite Cream has a tightening effect and reduces the signs of cellulite.